The radio industry has seen major shifts over the past several years, leading some to question its future. But Dan Mason, recently retired president of CBS Radio, says the industry remains strong. “The future of audio entertainment has never been brighter,” he says. Mason has established the Dan Mason Family Audio Scholarship at the Newhouse School. The endowed scholarship will provide financial assistance to a Newhouse senior majoring in television, radio and film (TRF) with an audio concentration. The first recipient will be chosen for the 2015-2016 academic year. At CBS Radio, Mason initiated an aggressive growth strategy, including the launch of new formats at dozens of stations across the country; the purchase of FM stations in New York, Miami, Washington, D.C., and Philadelphia; and the creation of CBS Sports Radio. Under Mason’s leadership, CBS Radio saw digital expansion with the creation of online audio streaming platforms Radio.com and Play.it; mobile applications allowing users to interact with CBS Radio stations on the go; and online video to complement over-the-air programming. 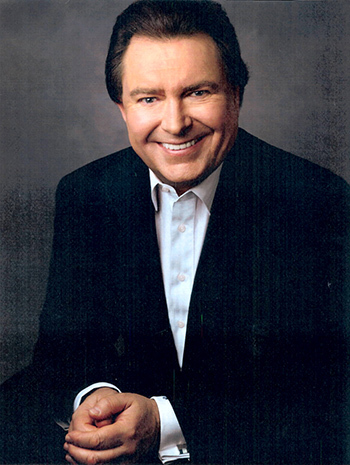 Mason was named 2012 National Radio Award winner by the National Association of Broadcasters Executive Committee for his outstanding leadership in the radio industry. He has also appeared frequently on Billboard’s Power 100 list and Radio Ink’s list of Most Powerful People in Radio. He was named Executive of the Year by Radio Ink. The Dan Mason Family Audio Scholarship will help bolster the Newhouse School’s commitment to education in the audio arts. In addition to the curriculum of the TRF program, Newhouse offers a graduate degree in audio arts that prepares students for careers in audio recording, music business, radio horizons or music video. The school also hosts the Audio Industry Summit, featuring media leaders and experts, including Mason. The annual event explores relevant industry issues.